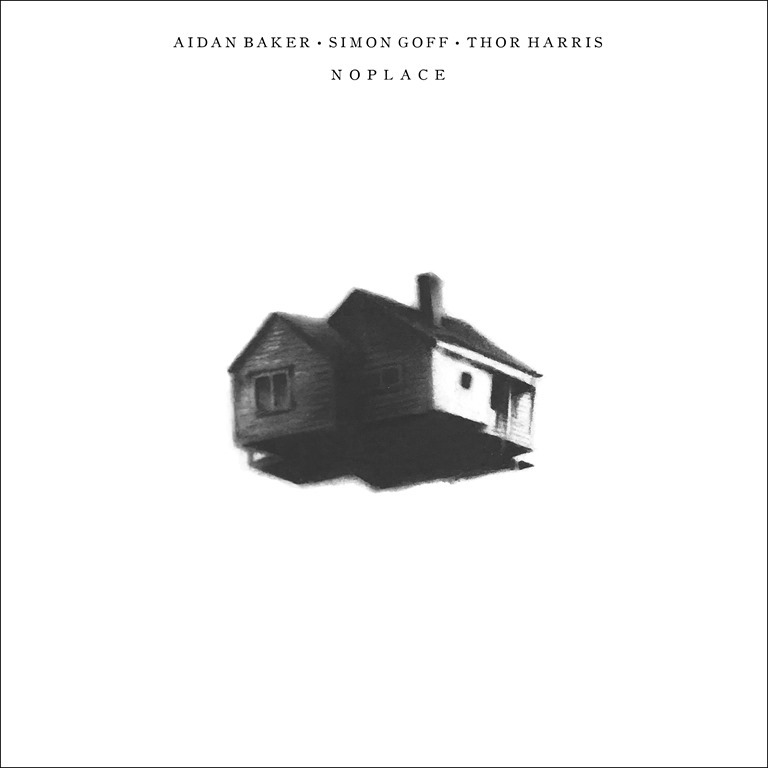 This is certainly quite the collaborative lineup, featuring as it does Aidan Baker (Nadja / Caudal / B/B/S/), Simon Goff (Molecular, Bee & Flower), and Thor Harris (Swans, Shearwater, Thor & Friends). What renders Noplace all the more impressive is that it’s an improvised work, recorded in a single day. As the press release recounts, ‘having known each other for a number of years and previously contributed to one another’s recordings this trio finally came together as a whole on May 7th 2017 at Redrum Studios in Berlin. In a short, improvised session of just a few hours they set about laying down as much material as possible which was then subsequently edited and re-worked (without overdubs) to form this album.’ And the results are quite something, and I very quickly manage to put aside the thought that the cover art reminds me of the film Up, minus the balloons. Rippling strings quaver over softly swelling undercurrents while rolling percussion provides a subtle, unobtrusive rhythm as ‘Noplace I’ introduces the album before creeping into the darkness f counterpart piece ‘Noplace II’. And yet it’s very much only the beginning: having been moulded post-recording, the album’s seven individual pieces are structured and sequenced so as to lead the listener on an immersive journey which gradually and subtly moves from one place to entirely another. ‘Red Robin’ builds a pulsating, looping groove overlaid with creeping stealth. Its repetitious motif may owe something to the hypnotic cyclical forms of Swans, but its trance-inducing sonic sprawl also alludes to a hypnogogic reimagining of dance music – and this filters into the spacious ‘Noplace III’, which draws together expansive ambience and, in the distance, shuffling, tranced-out beats, to create something that stands in strange, murky Krautrock / dance territory. Yes, it sounds electronic. Yes, it sounds unique, but at the same time, yes, it sounds familiar in terms of the individual genre tropes. It’s ‘place’ is precisely ‘noplace,’ in that it belongs nowhere specific, yet appeals on many different levels and in many different ways. Interweaving motifs continue to feature in ‘Tin Chapel,’, but the rhythm here is much more prominent, a weighty four-four bass/snare beat driving a linear road through the sweeping, strings that glide from mournful to tense. The locked-in psyche-hued desert rock bass groove pushes the piece forwards, while at the same time holding it firmly in one place. In turn, it tapers into the bleak, murky expanse that is ‘Northplace’. The final composition, ‘Nighplace’, brings things down and almost full circle as the percussion retreats into the background amidst a wash of elongated drones which ebb and flow softly. Noplace certainly doesn’t feel improvised, and while it’s remarkably cohesive, as well as possessing a strong sense of structure, it also reveals a remarkable range, both sonically and compositionally. And irrespective of any context, it’s an engaging and immersive aural experience.